K9 Teams is for all levels of experience in K-9 Search & Rescue / Recovery and anyone who works with these specialized teams. If you’re looking to maximize the operational performance of your SAR / Recovery team, this book is for you. 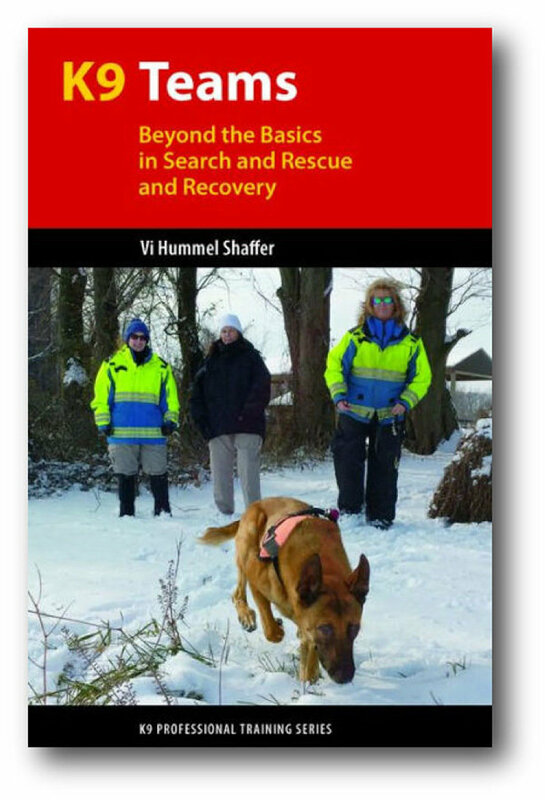 Includes the latest research, personal accounts from seasoned SAR/R professionals, and best practices for the management of effective K-9 teams worldwide. Offers a comprehensive look into K-9 team standards, certification and training for both civilian and law enforcement teams. Explains what it takes to be a competent, professional K-9 team and to establish credibility with law enforcement and other agencies. Educates not only the handler in different training techniques but law enforcement, fire and emergency management on the importance of these K-9 resources in homicide investigations and disasters. Discusses sensitive issues not mentioned in other publications. Vi Hummel Shaffer, with over 27 years experience as a K-9 handler in SAR & HRD, is also an instructor, court-qualified expert witness and law enforcement consultant, specializing in K-9 Human Remains Detection. She has received training from world-renowned experts in scent detection dogs, forensics and homicide investigations. Vi has worked with almost every branch of law enforcement in the United States and with the late legendary Dr. Clyde Snow. Vi and her first K9 “Mercy” were recognized by the federal government as the First Mass Fatality K-9 Team in the United States and, at the request of the FBI, a member of “Operation Noble Eagle” as the K-9 Victim Recovery Team at the Pentagon in the aftermath of 9-11-01. She and her K-9's have participated in other high profile cases and numerous homicide investigations. "Texas Police News is fortunate from time to time to be offered books and manuscripts to review, by authors who are either in law enforcement, have served in law enforcement or have close, personal relationships with law enforcement. Often we review these books from the time they are rough drafts, to completed manuscripts to the final, printed book. The books on this list fall into a very exclusive category -- books not only worth reading, but books worth owning. Some of them may even change the way you look at the world of police officers and law enforcement."